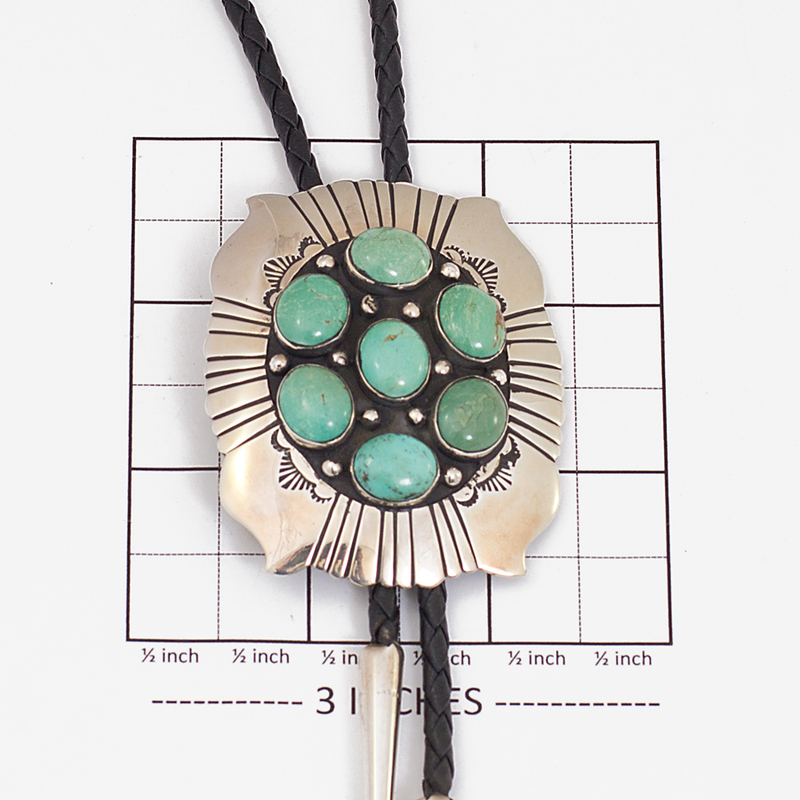 If you want a bolo tie that’s not too big and not too small, but has a classic southwestern look, this tie made by Navajo silversmith “MCB” would be a good choice. The turquoise stones are more green than blue, lending a subtle look, and are paired with nicely patterned sterling stamping. Hallmarked “MCB” and sterling. Weighs 51.4 grams. The cord itself is 34″ long 4 ply leather. 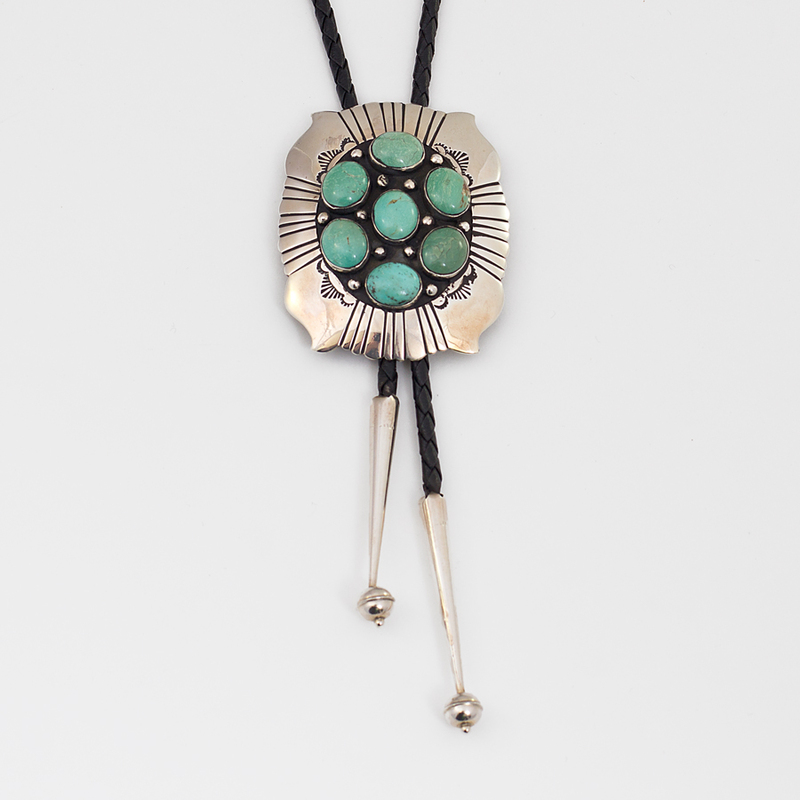 Navajo Artist MCB Turquoise Bolo showcases stylishly dazzling blue and brilliant Sterling Silver. Handmade by a talented Native American Silversmith.